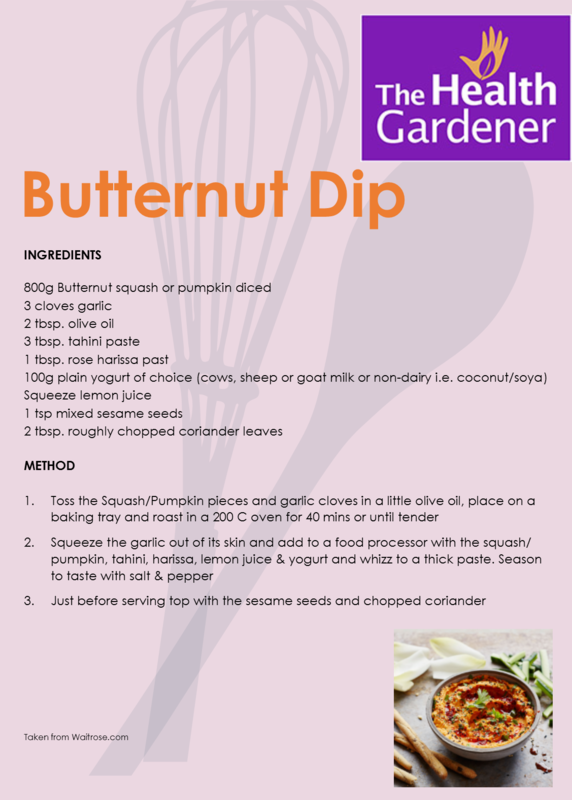 A yummy dip to make the most of all the different squashes and pumpkins that are available at this time of year. The recipe states butternut squash, but you could use any available squash in its place. 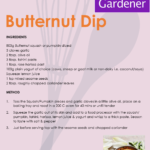 You could also make this using ground cumin, coriander & chilli for a change. If you’re dairy free use coconut or soya yogurt or you could make a standard hummus as a base and then add the cooked squash. The variations are endless!! This would be great as a dip with crudites & oatcakes, as a topping for a jacket potato or as a side for a piece of salmon or chicken breast. Don’t forget to save the seeds from the squash/pumpkin as they are delicious as a snack or as a topping for porridge.